Plane Commander is the indispensable iPad app… for the dedicated radio control pilot. 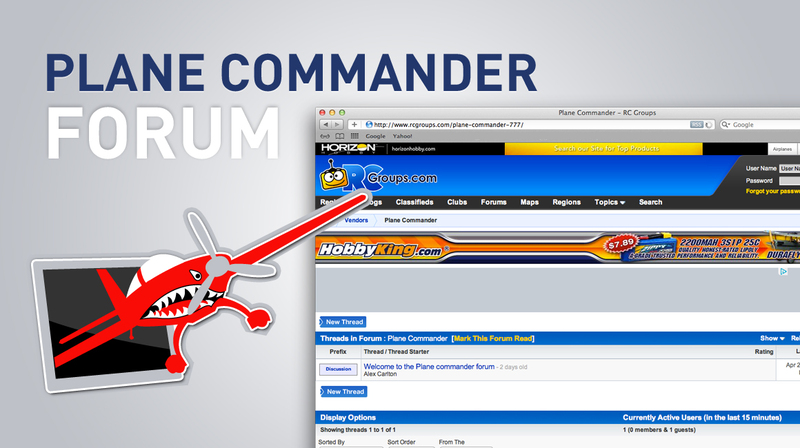 Plane Commander helps you manage and track your RC projects. Whether you are into RC planes, Helicopters… Gas or electric…Plane Commander will keep you organized. Modern radio control aircraft are full of complex computers…with a lot of settings to manage. Plane Commander keeps all the critical photos, documents, and notes in a single Application…on your iPad…ready for your next trip to the flying field. Document your projects with the iPad's built-in camera…and save all the information…for your aircraft in one spot. Plane Commander also includes a log book for those RC pilots who want to log their flight hours with their aircraft. Download Plane Commander today and get started managing your aviation projects. A short introduction highlighting the features and usability of Plane Commander. Download Free FMGO App from the Apple App Store for your iPad. Make sure the FileMaker App has completed installation. 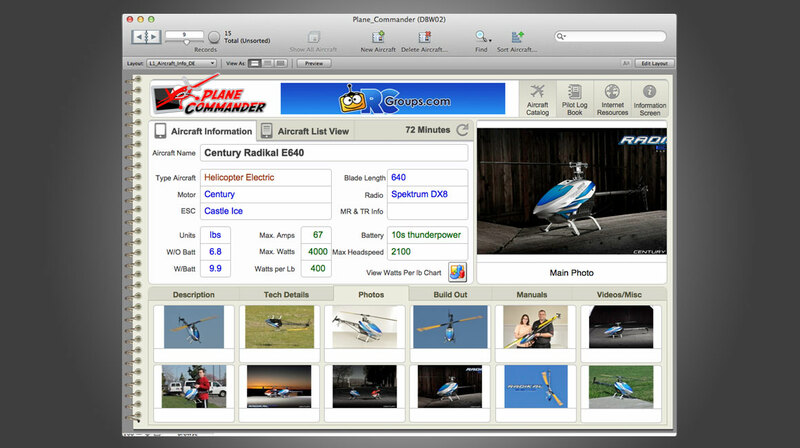 The Plane Commander App will want to install itself inside of FileMaker Go. 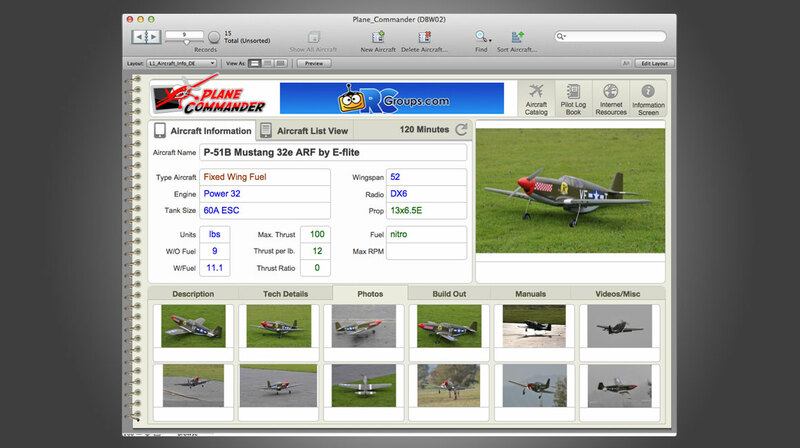 To Start Plane Commander, Open FileMaker Go and select the Plane Commander application.